The Japanese yen is strengthening against its American counterpart midweek as the world’s third-largest economy is on track for its longest expansion since the Second World War. On the data front, there were plenty of positives to whet the appetite of Japanese investors. With the US-Japan trade negotiations on the horizon, markets may be rallying ahead of the economic storm clouds. In September 2017, the Japanese economy surpassed the 57-month expansion (November 1965 to July 1970), known as the Izanagi boom. Tokyo is now on the cusp of beating the 73-month Izanami expansion (February 2002 to February 2008) this month as it will likely post its 74th month of growth. On Wednesday, the federal government announced that its Indexes of Business Conditions reported its highest rating for the economy: “improving.” This has been the case for 23 straight months, but it is expected to slip to “weakening” because of the string of natural disasters that impacted Japan. However, most experts believe that Tokyo will avoid slipping into recession anytime soon. Should the Federal Reserve hit the pause button on raising interest rates, the Bank of Japan (BOJ) could ignite more stimulus measures throughout 2019. Central bank officials want to prevent the yen from rising too much which they say could hurt the economy. The yen’s rally in recent weeks has sparked concerns for BOJ heads, especially if there is a global slowdown amid trade disputes. While the global economy is recovering gradually, there are various risks to the outlook. Japan’s economic fundamentals are sound, but we’d like to guide policy with a close eye on the various risks. He did confirm that his administration is still likely to pull the trigger on a sales tax hike, unless there is a sudden economic catastrophe. 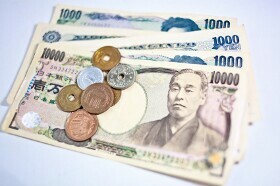 The USD/JPY currency pair surged 0.58% to 108.10, from an opening of 108.73, at 18:31 GMT on Wednesday. The EUR/JPY rose 0.33% to 124.82, from an opening of 124.39.